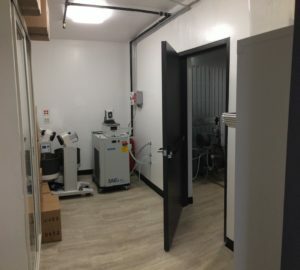 Turn-Key Cannabis Extraction Room – THC Safety, Inc.
THC Safety is pleased to present the Turn-Key Cannabis Extraction Room (CER) Kit! Pre-engineered and shipped directly to you with ALL the necessary components to have a functioning, compliant Class 1 Division 1 (C1D1) or Class 1 Division 2 (C1D2) work space designed specifically for Liquefied Petroleum Gas or Ethanol/Solvent Extraction. Installation is available upon request. Our CER can be incorporated into planning prior to construction, or worked into existing buildings and already operational extraction facilities. You will save thousands of dollars and months of time by using our design. 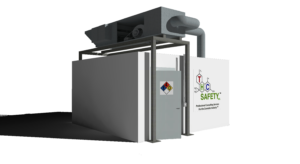 Designed to be compliant with Denver Fire Department requirements as well as OSHA, NFPA, IFC and IMC requirements for liquefied petroleum gases and organic solvents. CUSTOM SIZES ARE AVAILABLE – WE WILL DESIGN IT TO FIT YOUR SPACE AND EQUIPMENT! Our patent pending ventilation system utilizes a fixed base flow rate that provides a safe working environment. Air flow rates and exhaust hoods have been engineered to provide a sufficient capture velocity for flammable gases and vapors. Multiple designs are available based on jurisdictional requirements and budget. The enclosure meets the standards for 1 hour fire resistance. There are two 36″ doorways for ingress/egress. Penetrations are readily available for necessary pipes between unclassified areas and the National Electric Code (NEC) Class 1 Division 1 (C1D1) extraction room. Tempered, fresh air is constantly provided at a slightly lower flow rate than air is exhausted to create negative pressure within the C1D1 space. Each extraction room includes a fixed C1D1 LEL (Flammable Gas) Sensor/Transmitter. There are multiple options for sensor location depending on jurisdictional requirements. A control box connects the sensor/transmitter to a C1D1 Horn and Strobe set to alarm at 20% of the Lower Explosive Limit for your desired gas. The alarm system is interlocked with the ventilation system to ensure the ventilation stays on or turns on (if it was off) when the sensor alarms. Electronics/Controls are located outside of the C1D1 area, reducing the need for expensive classified wiring! Multiple safe lighting options are available based on your facility configuration and budget. 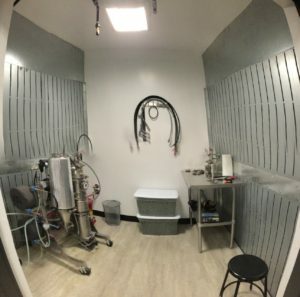 THC specifically designed our Cannabis Extraction Room (CER) to be used to provide a safe environment for the purpose of botanical extraction. 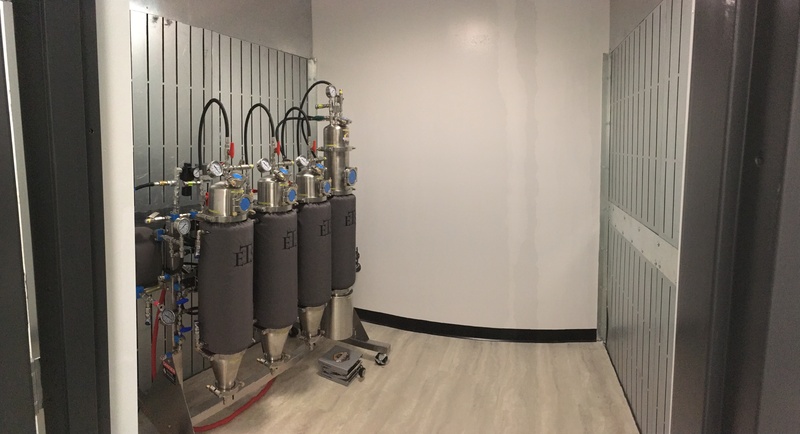 Our room currently meets every published municipality’s requirements for the extraction of cannabinoids from plant matter using LPG or solvents as extracting agents. 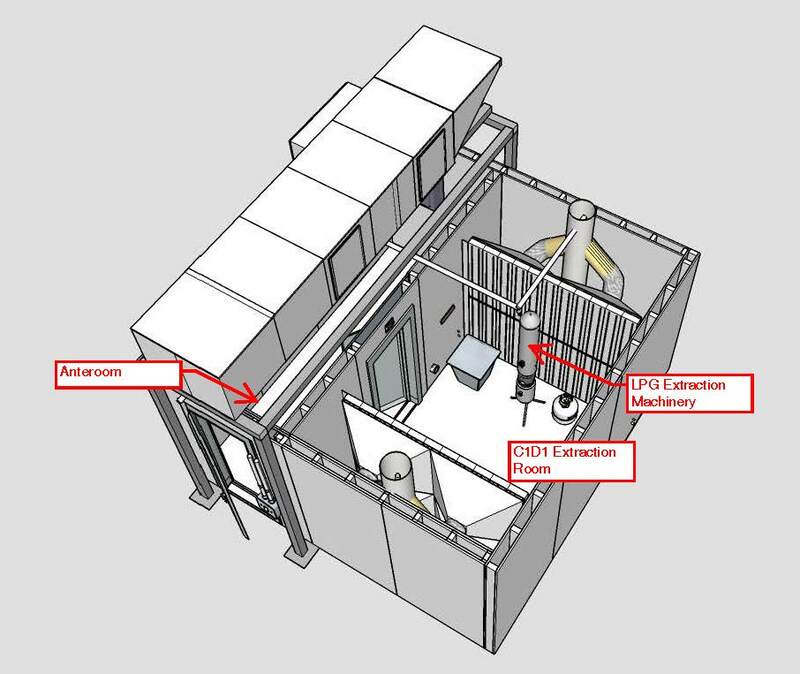 Each CER is available with many customizable features including entry configurations, lighting, incorporation of vacuum and compressed air systems, flammability detection sensors (LEL), and accommodating ancillary equipment such as chillers. No matter what custom configuration you choose, our central safety requirements are never violated. 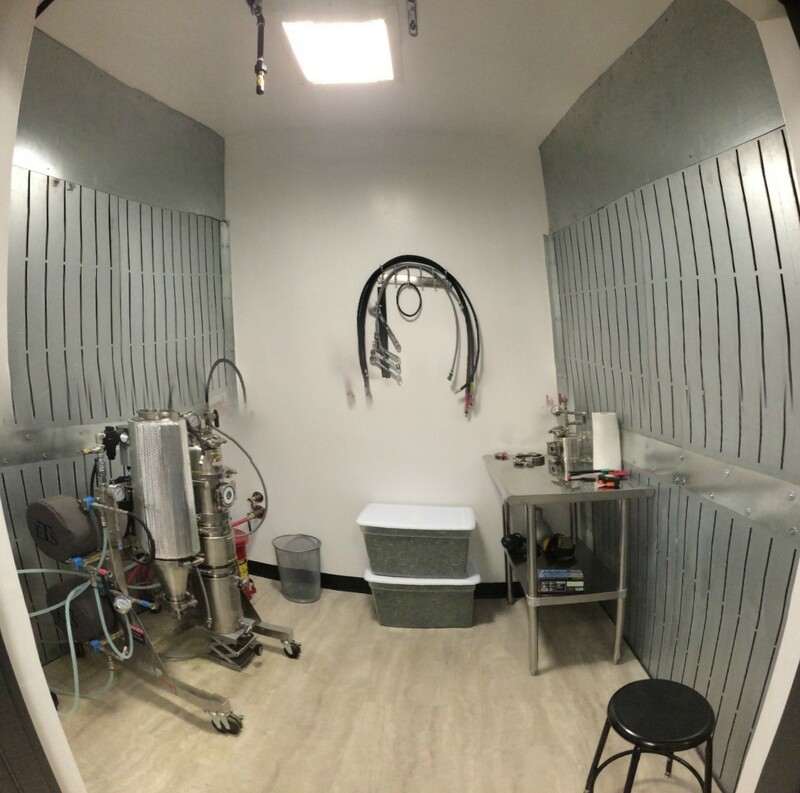 Our rooms are designed to meet the toughest standards in the nation, including the Denver Fire Department’s regulations concerning Cannabis Extraction rooms. Our rooms offer a turnkey design that will interface with existing building systems, and specific requirements for additional ancillary equipment necessary to support the room. 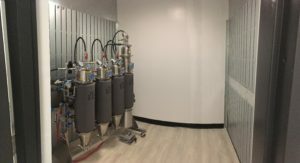 The Patent Pending NEC C1D1 room has a State of the Art ventilation design that allows for low volumetric flow rates but high emission capture that meets the requirements of most municipalities; this ensures the safest, most efficient space possible for conducting operations. It can be integrated into an existing facility in a relatively short period of time. Because of its efficient design, it can be installed easily, avoiding cost overrun. We will be able to estimate your cost for a fully functional system before you purchase! The CER’s capability is scalable. We have multiple designs to fit your operation and most size constraints. The room includes a state of the art ventilation registers designed to capture off-gas from freshly extracted material, as well as spent plant material, before being removed from the Classified area. Please contact THC Safety for pricing and availability at info@thc-safety.com.